Dr. Wei Xu is currently a senior scientist at the Roche Innovation Center in Zurich, leading several programs in cancer immunotherapy. He received his PhD in immunology at Leiden University in the Netherlands. 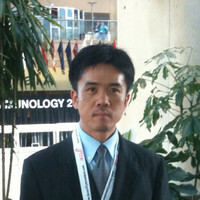 Dr. Xu performed his post-doctoral training at the Baylor Institute for Immunology under the supervision of Dr. Jacques Banchereau prior to joining Roche.